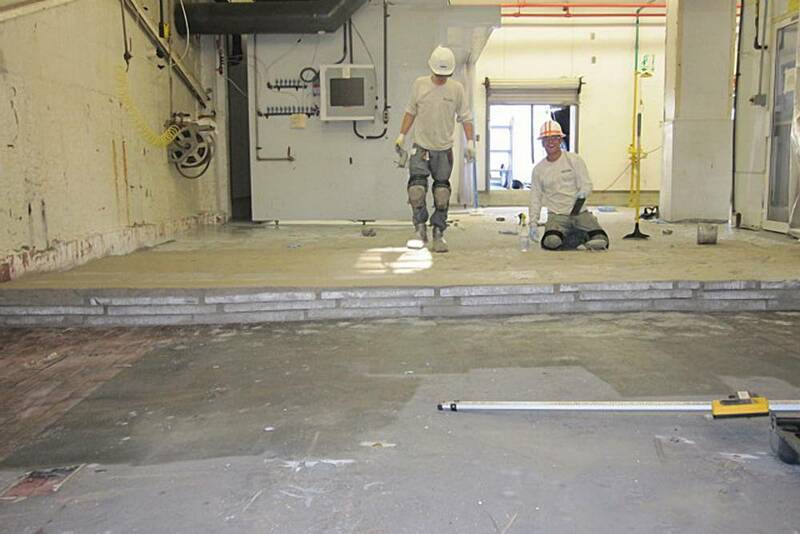 Chemical Processing Area Existing brick floor was damaged and uneven. 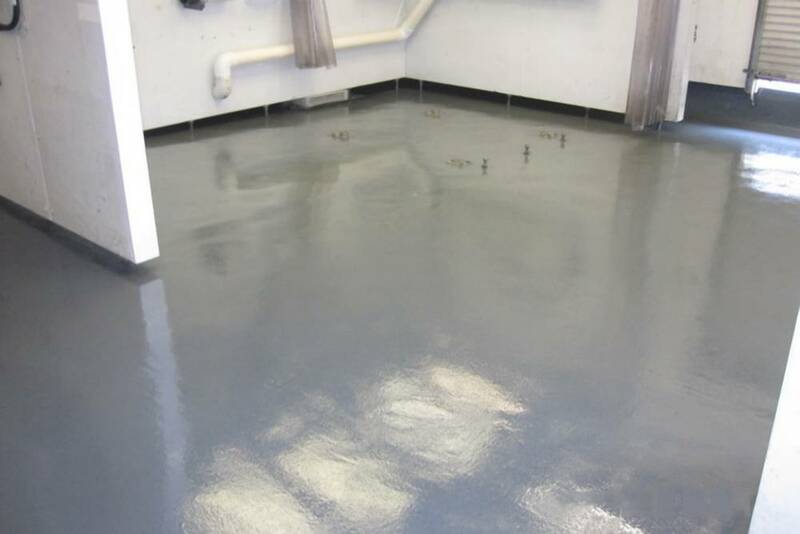 Chemical Processing Area High-build epoxy mortar was selected for its excellent durability, chemical resistance and ability to fill in low spots. 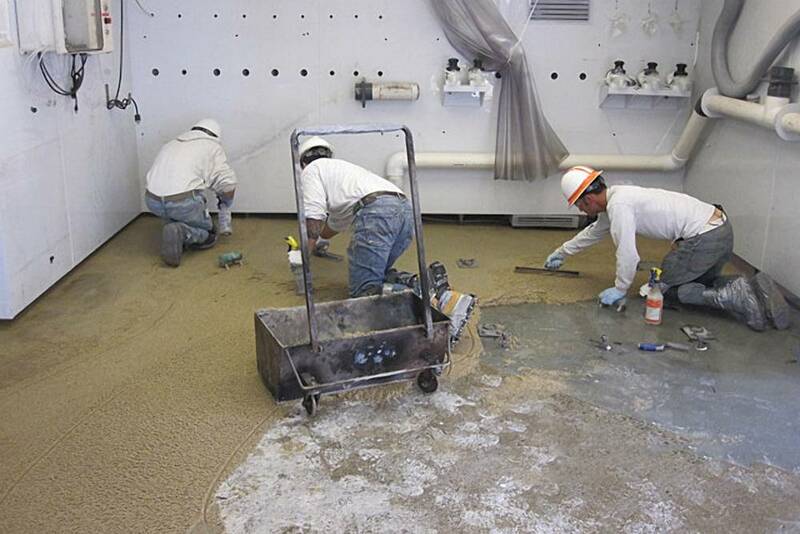 Chemical Processing Area Here the PermaFloor crew uses a screed to level the rough surface. 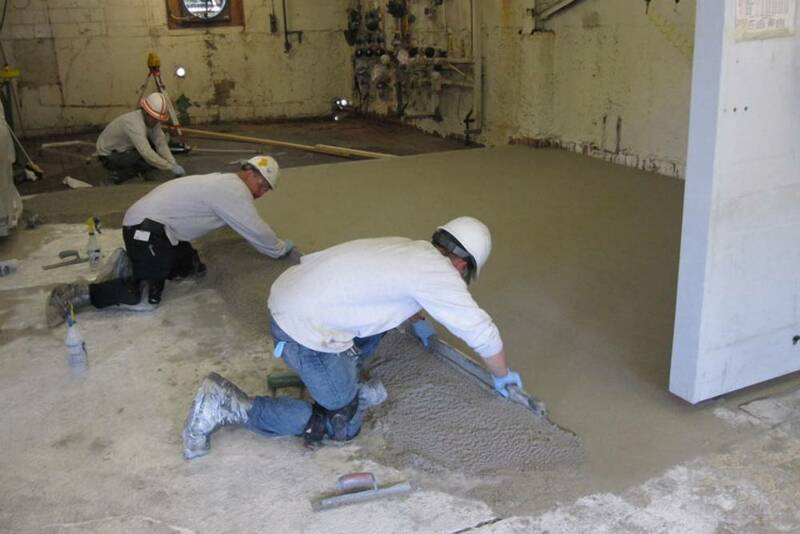 Chemical Processing Area A power trowel was then used to create a very smooth surface. 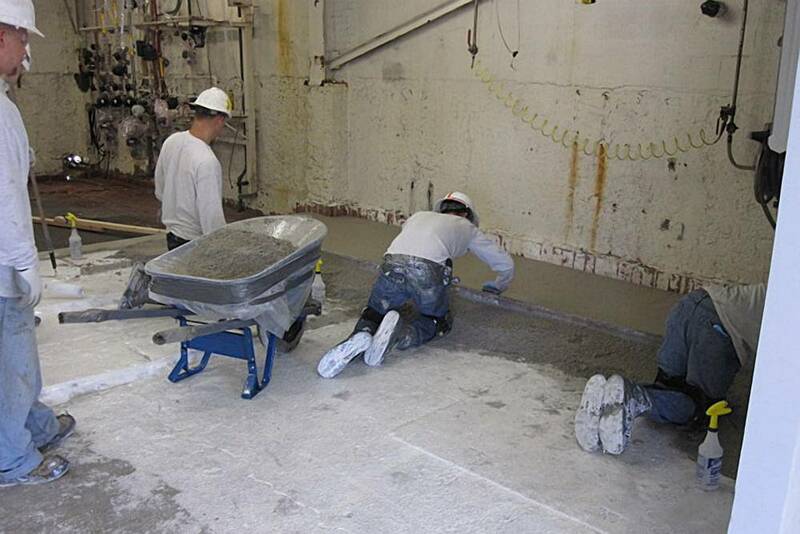 Chemical Processing Area Hand troweling of epoxy mortar around floor protrusions and room edges. 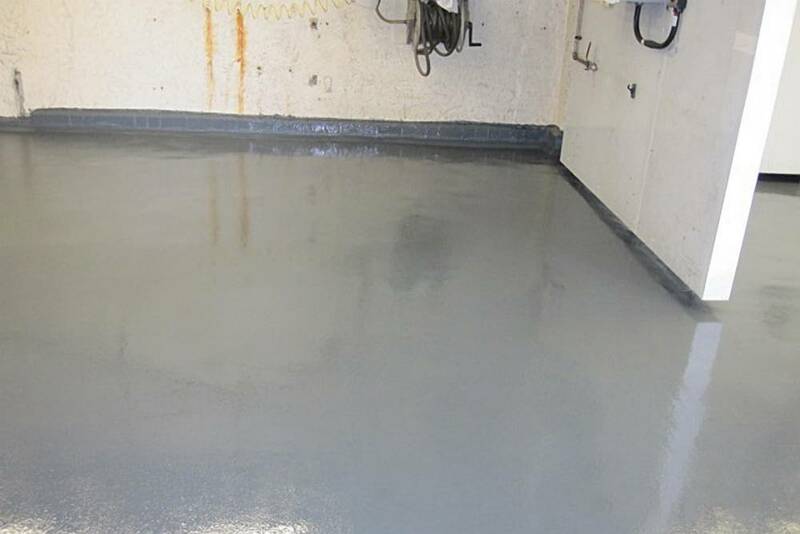 Chemical Processing Area Power trowel was used to smoothen the larger spaces. 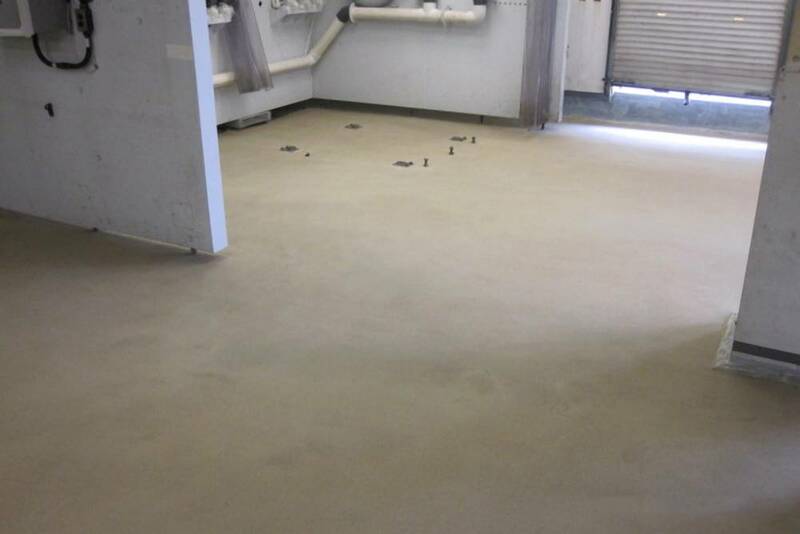 Chemical Processing Area A very level surface is achieved despite the underlying tile and bricks. 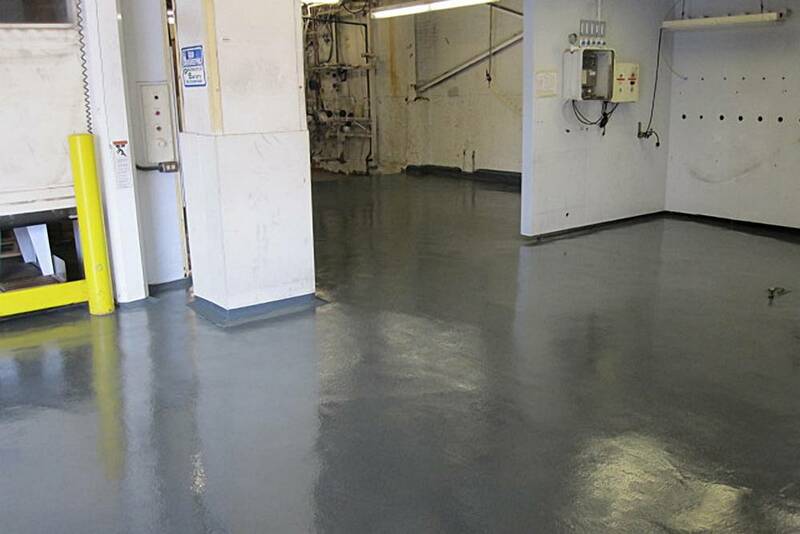 Chemical Processing Area Final coats provide slip-resistance and chemical protection. 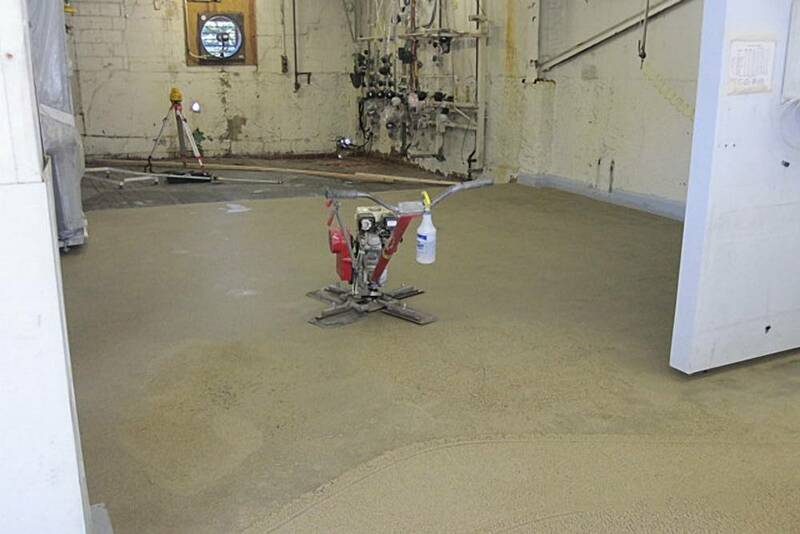 Chemical Processing Area The epoxy mortar system is tough too, and will resist abrasion and damage from impacts. 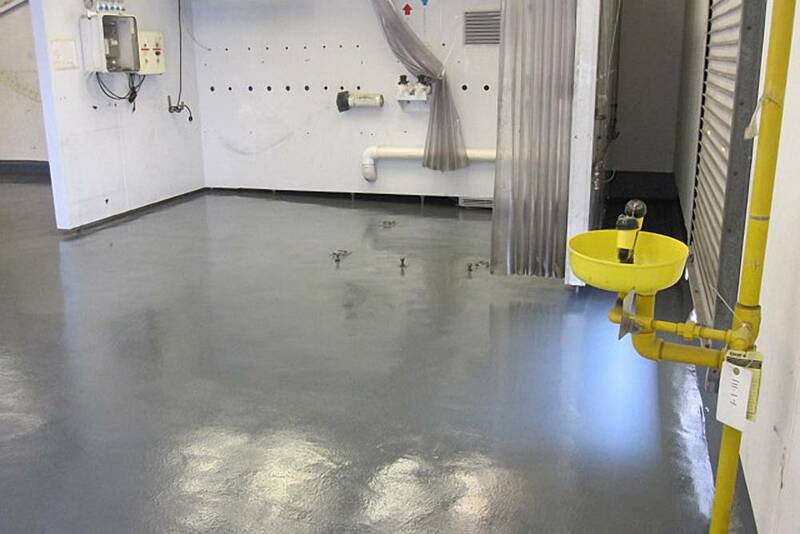 Chemical Processing Area The new floor will also be easier to clean and maintain. 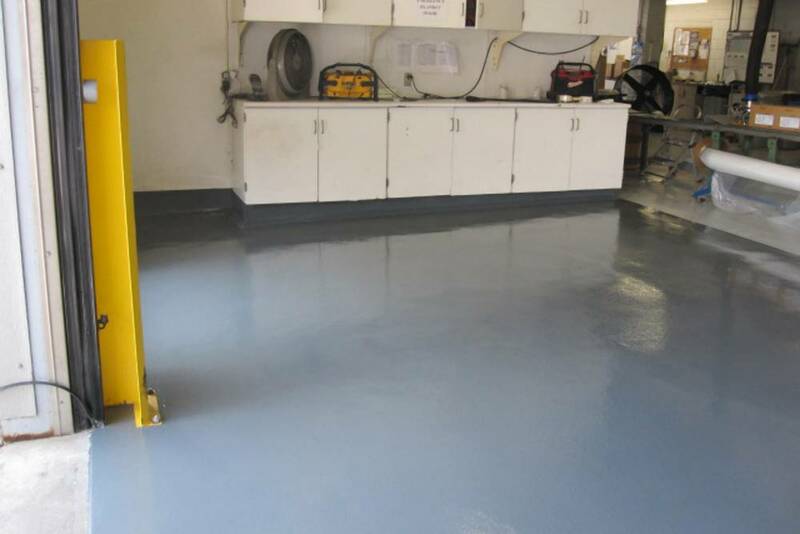 Chemical Processing Area Work areas are now more aesthetically pleasing. Chemical Processing Area No sign of the bumpy surface below. 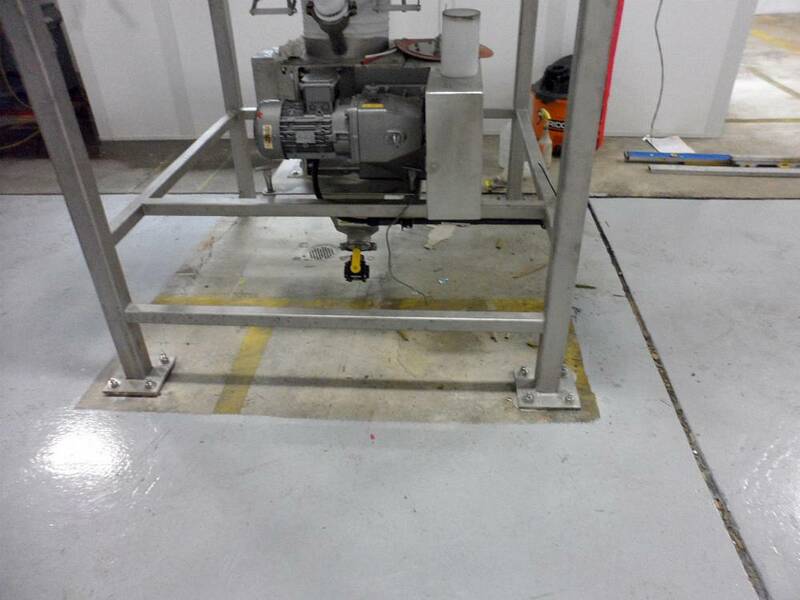 Chemical Processing Area Ready for operation. 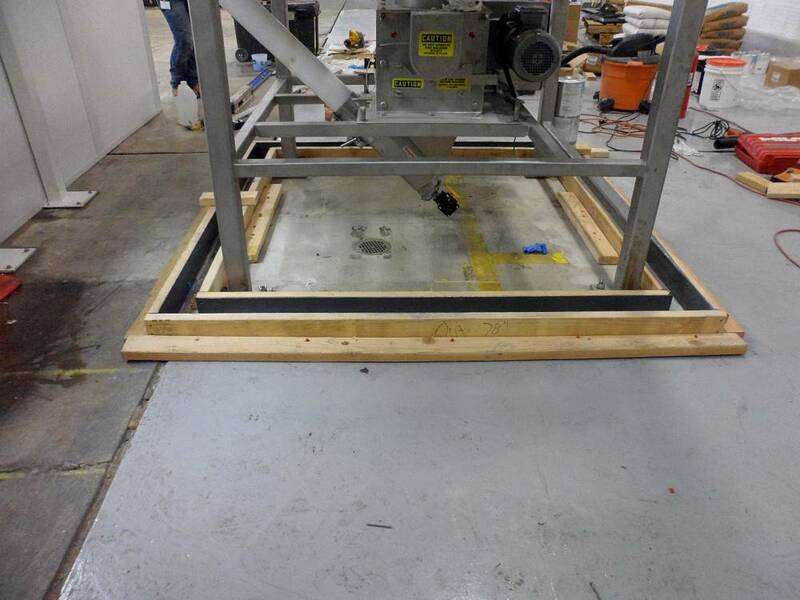 Secondary Containment Secondary containment was required for this machine. 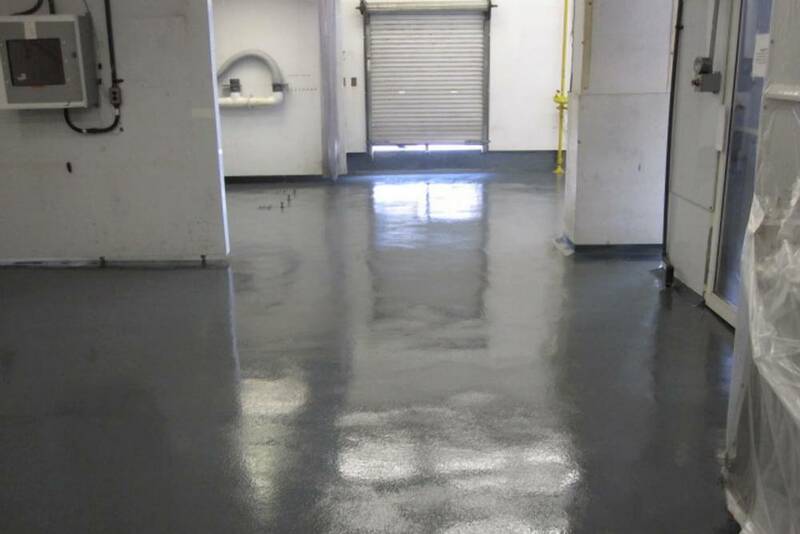 Secondary Containment No problem for PermaFloor to construct a berm using epoxy mortar. 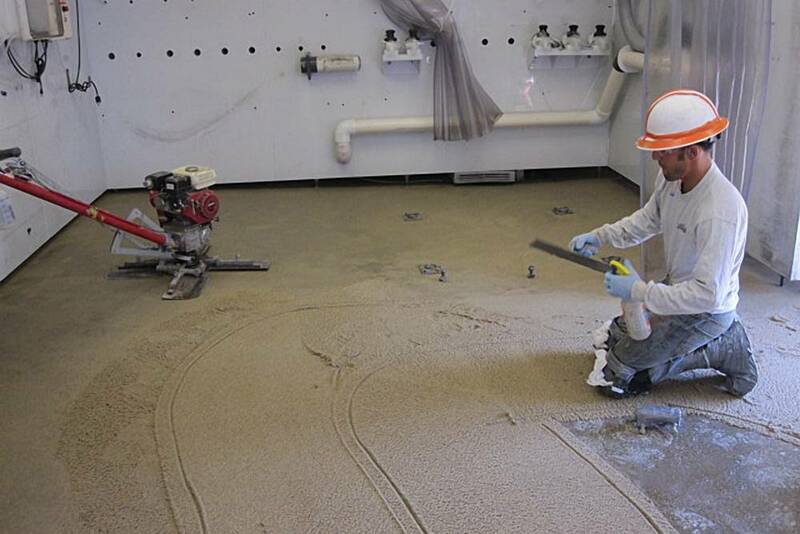 Here the forms are ready for pouring. Secondary Containment The berm is now ready for coating. 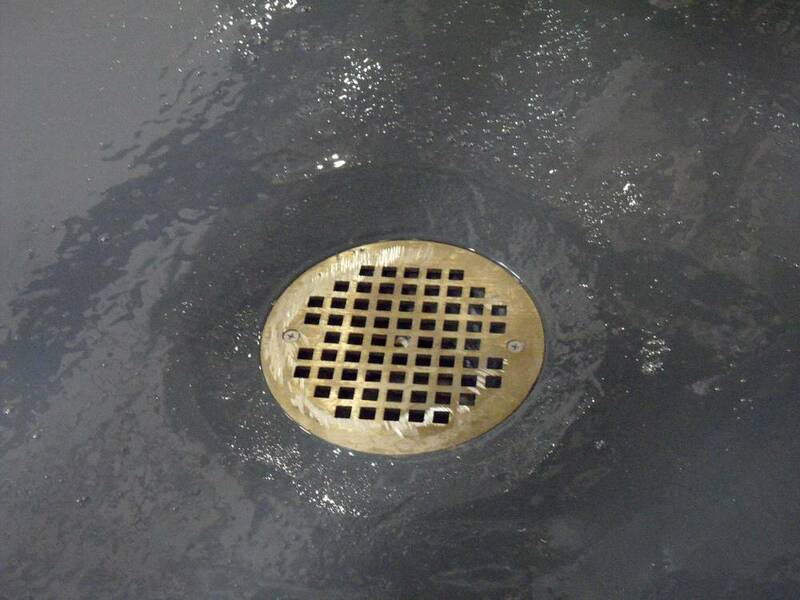 Note the careful drain sloping. 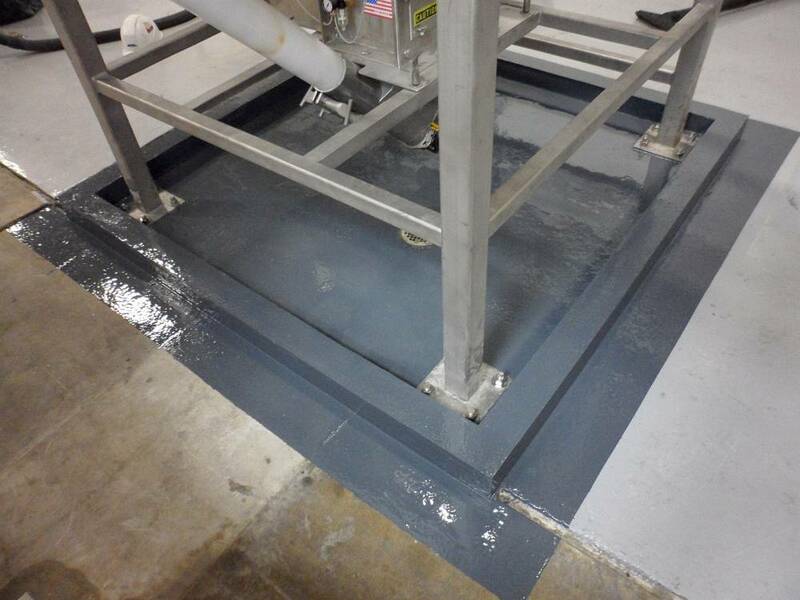 Secondary Containment Final containment area is coated in novalac epoxy for durable chemical resistance. 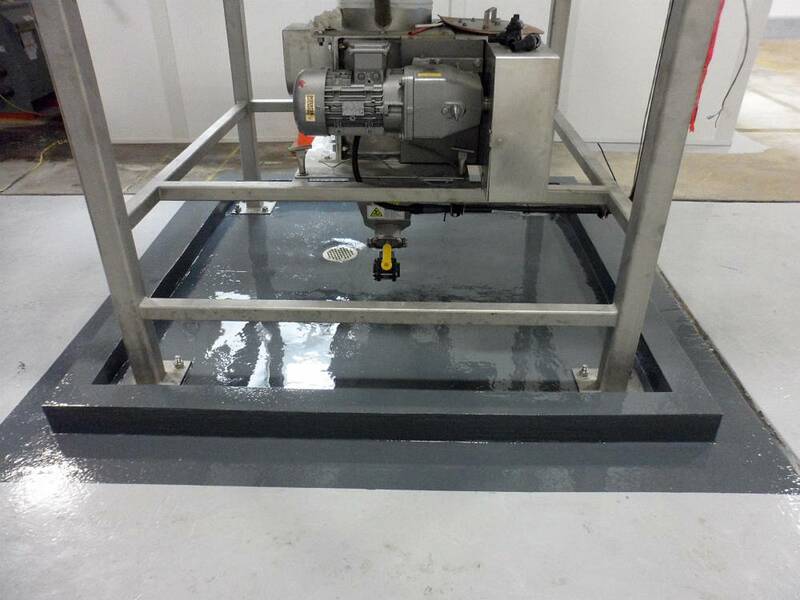 Secondary Containment Detail of the drain sloping. 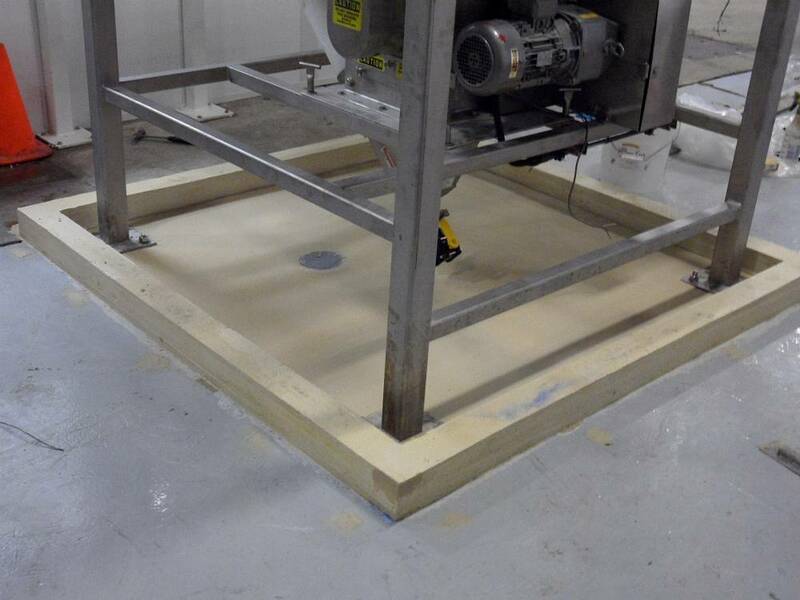 Secondary Containment Ready for service. Salts Loading Dock Chemical salts loading dock was staring to show signs of deterioration. 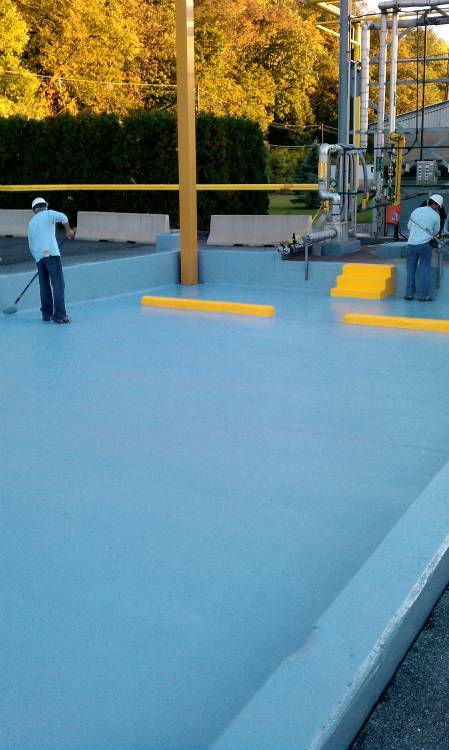 Salts Loading Dock A polymeric coating system with chemical resistant properties was applied to protect and preserve the dock area. 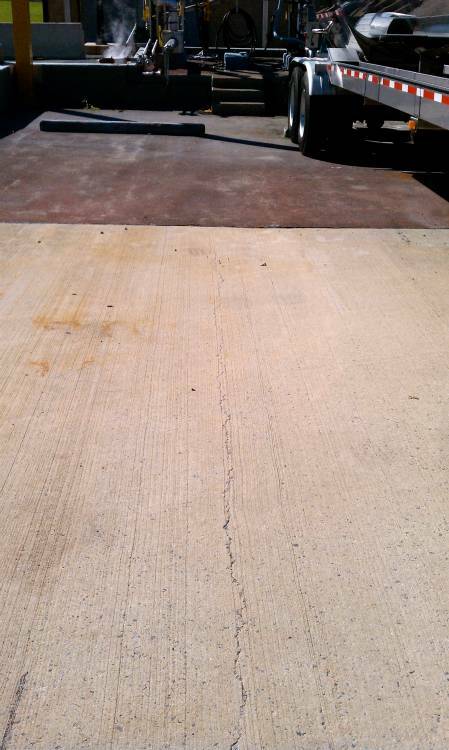 Salts Loading Dock Anti-slip aggregate was broadcast into the system. 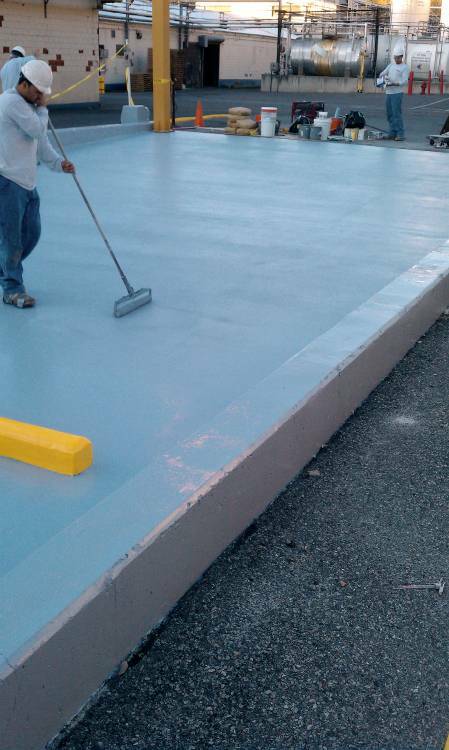 Here the final top coat is applied. 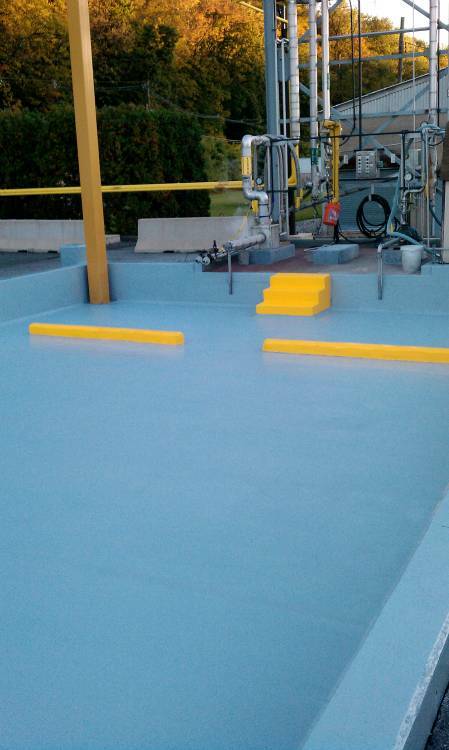 Salts Loading Dock Yellow detailing was added to delineate stairs and wheel chock areas.